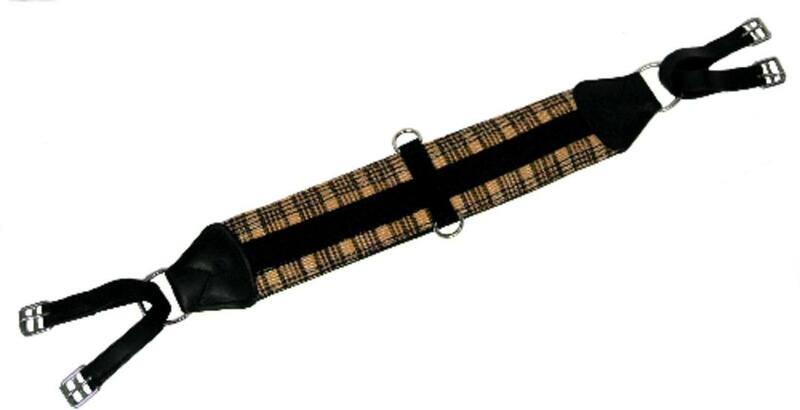 This english girth is supple and soft to the horse yet strong and sturdy for durability. The traditional plaid material overlays a 5mm neoprene backing that protects the horse and provides a nice grip. Leather humane ends secure Stainless Steel 1" Girth buckles that have rollers for easy cinching. Dee Rings at center. Available in the following sizes: 46", 48". Made in the USA.